Traction and decompression are the cornerstones for chiropractic care, both targeting lower back and neck conditions. 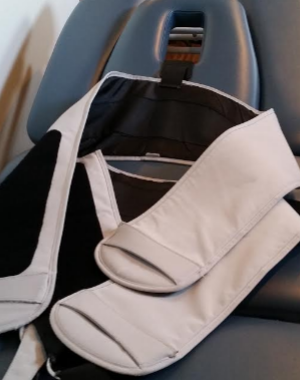 The goal of each treatment is to alleviate pain by relieving pressure. Decompression is a form of traction. Both the Chinese and Romans have practiced these methods for over 1,000 years! Dr. Carlson is dedicated to helping you live a better life. During your consultation, he will thoroughly examine you in addition to completing any needed lab tests, including but not limited to a complete blood analysis and biomarker tests to determine the root cause of your symptoms. Traction can provide immediate pain relief and is completed usually within 15 minutes. It can treat pinched nerves, back and neck tightness, and headaches. The neck or lower back will be stretched, reducing the pressure on your nerves or muscles. Dr. Carlson is a licensed chiropractor and has years of experience providing quality chiropractic care. Spinal decompression therapy is a non-surgical, non-invasive treatment for back pain that works by slowly and gently stretching the spine, taking pressure off compressed discs and nerves. Decompression can target lower back and neck pain, upper and lower extremity pain, and sciatica. Once your nerves are decompressed, you will quickly be able to return to normal, pain-free activity. Spinal Decompression Therapy is a non-surgical, non-chiropractic therapy to relieve back pain and other problems associated with spinal disc injuries. Bulging discs, herniated discs, degenerative disc disease, pinched nerves, sciatica, and arm pain or leg pain can often be attributed to your spine asserting pressure on your nerves. Poor posture, bad body mechanics, repetitive stress and acute injury can cause your vertebrae to compress your discs or to slip out of alignment which then applies pressure to your nerves. Compressed discs lead to two major problems: a bulge or herniation pressing on a nerve; and brittleness of the disc. The problem is often perpetuated because the compressed disc restricts the flow of nutrients, oxygen, and water to itself which is needed to heal. Spinal Decompression Therapy is an alternative FDA approved treatment option that has shown very good results. 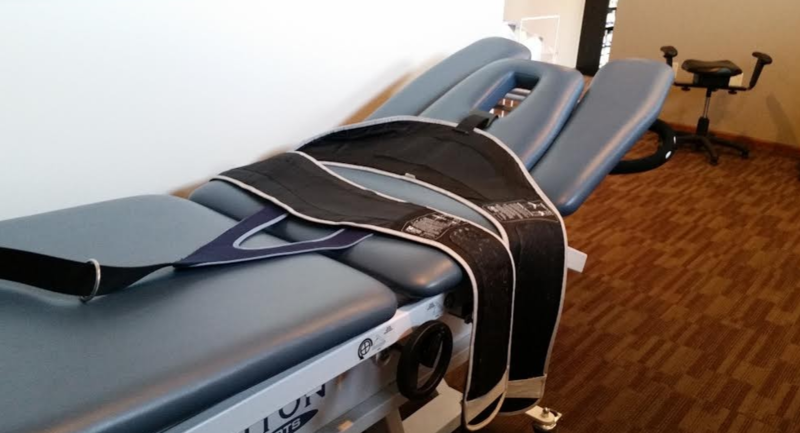 Spinal Decompression Treatment is non-invasive and provides gentle decompression of the disc through the use of a decompression table. You are strapped to the table so that as it moves it applies a distraction force to the targeted area of the spine (the compressed disc). A computer controls the distraction force which is applied in between periods of relaxation. This gently pulls the spine apart elongating it and creating a small vacuum between the vertebrae which pulls the disc back into shape, as well as increasing the vital nutrients that enables the disc to heal and recover. Much like a repetitive stress injury the decompression works in very minute increments. But over time, that adds up and lets the disc reshape itself, heal and get the proper flow of nutrients to fend off brittleness and future injuries.